With Snapchat raising a new round that would have it valued between $16-19 billion, it sounds like we’re once again approaching the irrational side of exuberance, but don’t count your bubbles before they burst. Messaging apps are transforming into mobile versions of 90’s era portals with the added benefit of social, mobile, commerce and big data to boost. Every element of the value stack is active and full of profit potential. 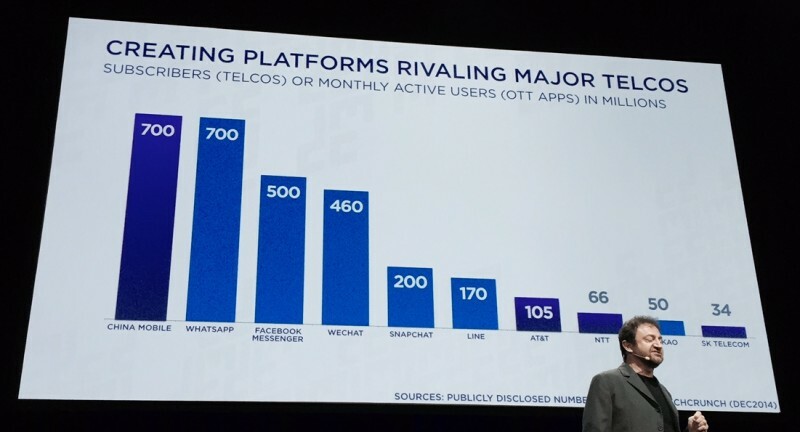 When you consider the monthly active user base (MAU) of the top messaging apps, they rival the telcos in scale. China Mobile and What’sApp for example both weigh in at 700 million customers. That said, don’t be surprised when these messaging apps transform into robust platforms that serve a variety of needs and connect brands to consumers in entirely new ways.